Darted cougar lowered from a tree. A sedated cougar is carefully lowered from a tree in Wyoming’s Teton National Forest so field biologist with the Teton Cougar Project can fit it with a GPS collar to track its movements. 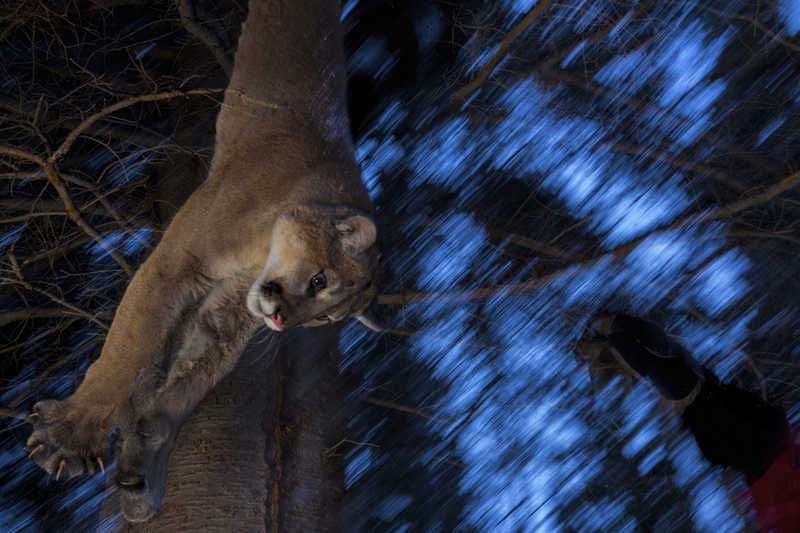 Cougars will usually seek protection in trees when in danger. Biologists use this to their advantage to capture and collar cougars for their studies.